We’ve spent the last 4 days in sunny, fruit-filled Corfu, off the northeast corner of Greece. We stayed in an apartment in the north of the island, in Acharavi, which was idyllic other than a wicked ATM that ate Ted’s credit card. The friendly Greeks behind him in line for their daily cash ration of 60 euros offered conflicting advice: "Call the police!" "Go to Corfu Town!" "Revolt!" One old lady helpfully whacked the ATM with her cane. We arrived on the day of the EU bailout referendum. Other than a chatty No-voting shopkeep (“I want to live!”) and some fireworks when the results were announced (Corfu voted 71% No) we noticed no excitement whatsoever about the vote; everyone seems tired of the subject. The entire island feels like Tuscany, full of tiny little towns with terra cotta roofs and olive groves. We’ve seen a total of about 3 clouds in the sky. We’ve been spending our days marveling at all the fruit growing everywhere: peach, pear, apricot, lemon, lime, orange, grape, blackberry, pomegranate, fig, even banana. All unripe, but still. 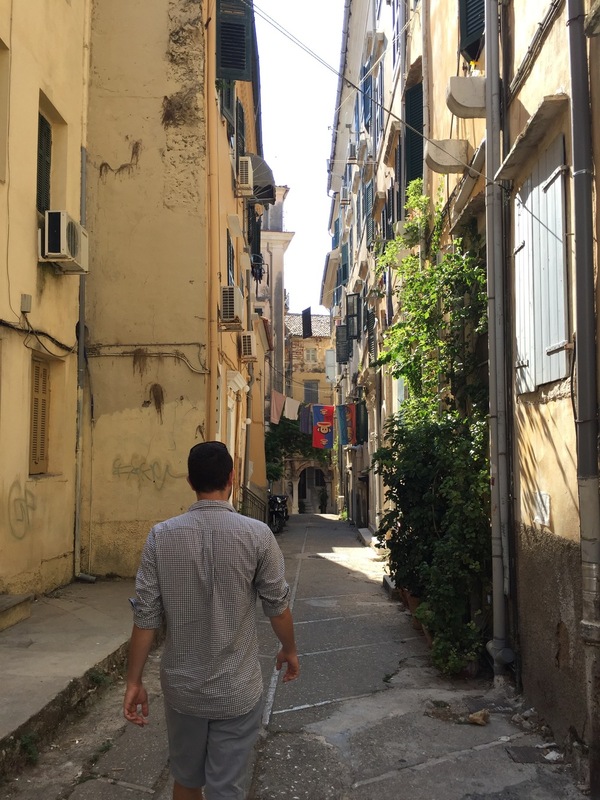 One day we went to Corfu town, and enjoyed wandering around twisting little crooked alleyways in the old quarter and old fort. The new fort looked pretty old to us too, but apparently it’s 450 years young. A highlight was renting a scooter, my first time riding on one (Ted drove). 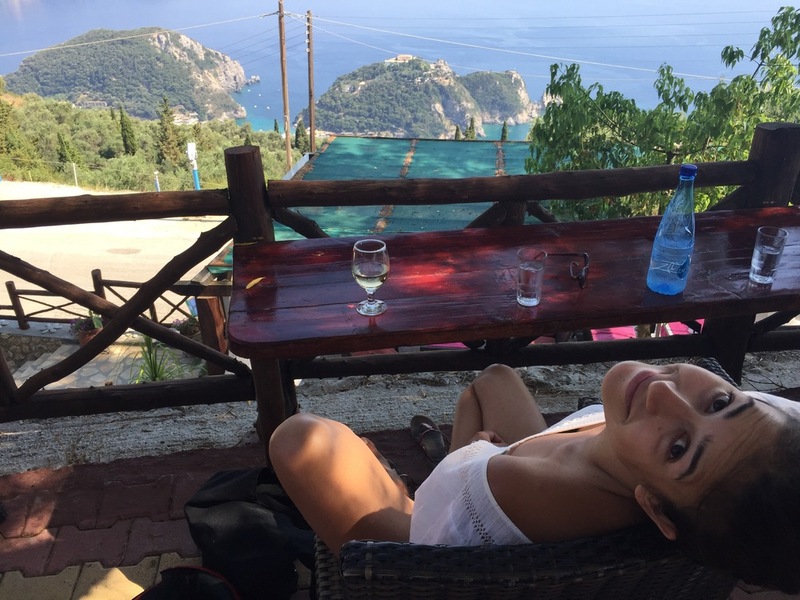 We scooted up and down mountains and all around the island, exploring towns like Nimphes (home of delicious cold-water springs where the nymphs likely used to frolic) and Paleokastristsa, an emerald-water beach destination full of Russians. Outside Nimphes we found an abandoned ancient monastery that had been taken over by bats, hornets and fig trees. Finally we went to Kalami, where Gerald Durrell lived as a child. 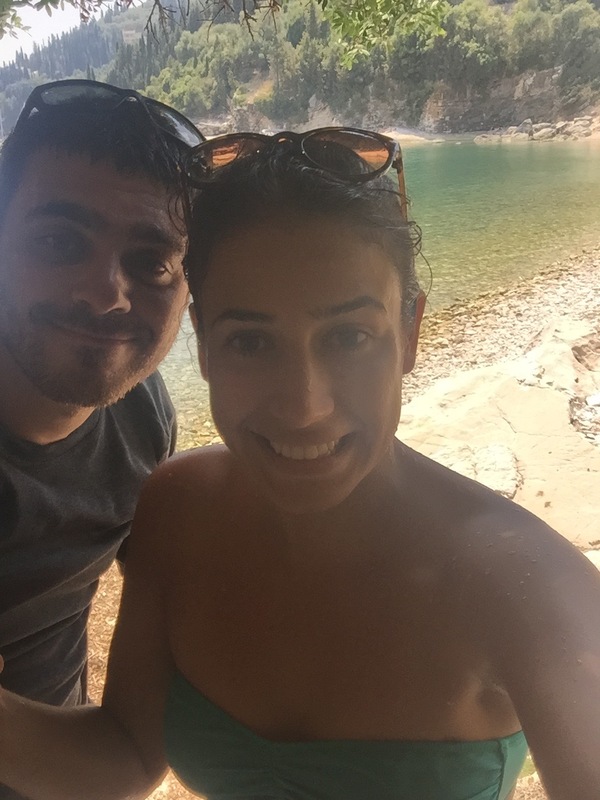 I’d wanted to come to Corfu my entire life after reading My Family and Other Animals, and it hasn’t disappointed. 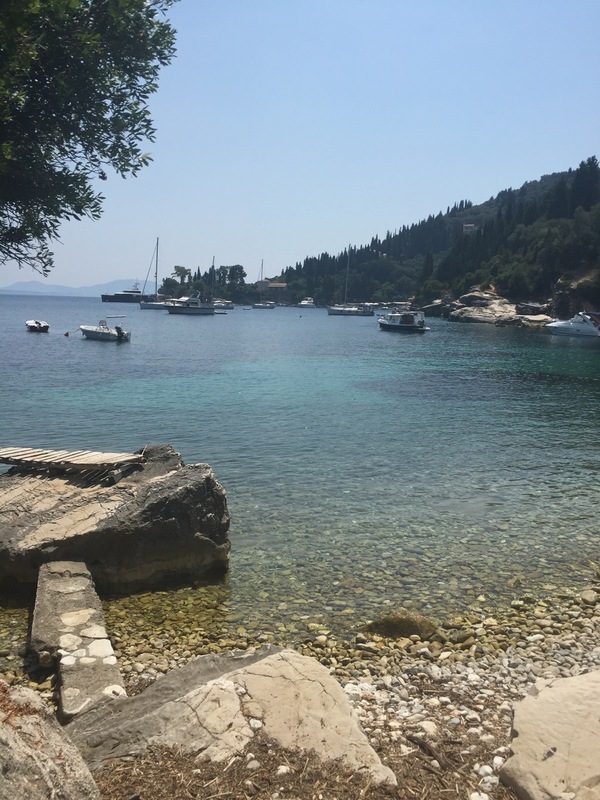 We ate fish and lamb at the old Durrell house to the sound of plunky plinky bouzouki music, then swam in the warm turquoise water of the next cove over until we were tired and sunburnt. Then we scooted back to Acharavi and had a cocktail in a frozen lemon.